Unfortunately there are a lot of misconceptions about exercise. I always believed that there are too many people with too little real knowledge and give too much advice. 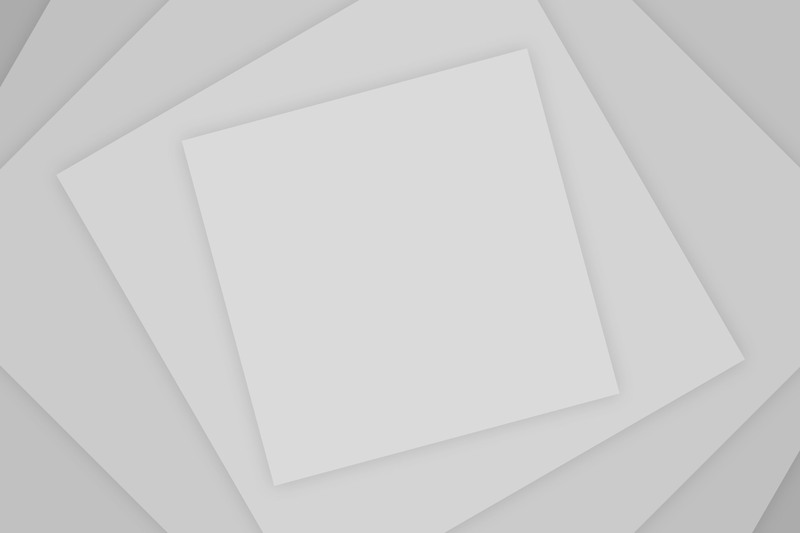 The scope of this article is not to look into all the misconceptions surrounding exercise or to clear the myths and truths of fitness but to outline the most effective exercises to lose weight fast. Exercise is vital for weight loss and with so much information available, and some of it of ill content is no surprise that people don’t tend to stick with exercise. Here I have summarized some really good exercises to help you lose weight. This is not an exercise program to follow as such and they are only some suggestions. 1. The exercise that suits you. This makes top of my list. Regardless of what anybody may say of what is best and what is not, the one exercise regime which you are likely to stick to is the one that rocks your boat. I have come across statements such as ‘exercise is only pumping iron in the gym (in other words lifting weights) and all the rest can’t even be defined as exercise’. I won’t even bother to comment on that, I will simply say that as long as physical activity is done in the correct technique, it does not contradict any health issues and you are not placing a high injury risk on yourself, it is good enough. Farmers walk is a simple classic exercise however a lot more demanding that it may appear to be in the first instance. It is good for hand grip, back and shoulders. It also works on the abdominal, pectoral gluteal and leg muscles. You can try to contract the Transversus Abdominus muscle (tummy) to help you keep your posture. Remember to breath. To perform: Standing, straight back and shoulders back. Dead lift two weights in each hand. Choose lights weights if a beginner in exercising, such 2kg dumbbells. 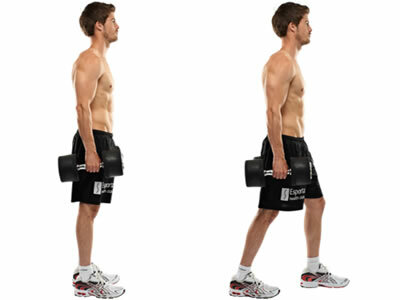 Hold the weights with arms straight in each side and walk up and down a room. Walk 4 lengths (depending on the size of the room) or until you feel that your shoulders are falling forward and you can’t hold the weights. Rest the weights on the floor and repeat. Functionality: Think all the shopping bags you carry walking around. This exercise works on the back and arm muscles. Functionality: Think of cutting wood for the fireplace. To perform: Use a bench. Stand on the side, place your right knee flexed and right hand for support on the bench. Keep your left leg straight on the floor positioned slightly back. *Assume a semi on fours position. Hold a dumbbell with the left hand. 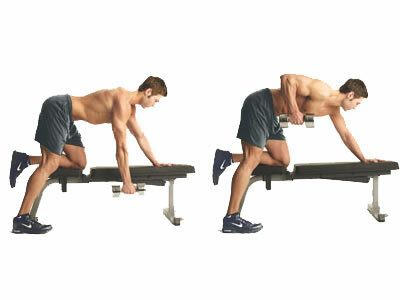 Pull the dumbbell upwards on the side by flexing your elbow until the dumbbell touches your ribs. Lower until the arm is straight (keep elbows relaxed) and repeat x8. Repeat exercise with opposite side. Start with low weights to your own comfort and increase with practice. It sounds rude but is a very good exercise for agility and an all over strength workout. Aim to perform this exercise as fast as possible but make sure you keep the correct technique. Best practice a few times and increase the speed as you build more confidence. To perform: Begin in a standing position. Lower to towards the ground into a squat position and place your hands on the ground. By placing your weight to your arms to support yourself, extend your feet backwards in one quick motion to the front plank position. Then bring your legs back in and return to the squat position in one quick motion. Return to the starting upright standing position. Single arm squat and swing. This is another example of a whole body exercise. The single arm squat and swing works the muscles in the hips, thighs, back and abdomen and arms. To perform: Stand with your legs hip width apart, back straight and shoulders back and down. Hold a dumbbell (or any weight) with your right hand. Return to standing position and at the same time swing the weight over your head. Keep your arm extended during movement. Lower the weight and repeat x4 with each arm. Practice with low weights before moving to heavier weights or increasing the speed in which you perform the exercise to avoid injuries. A good circuit program would incorporate exercises for most parts of the body. It would also incorporate both resistance and some aerobic exercises. They also tend to alternate high and low intensity exercises. Alternating the intensity of the exercises can help increase the fat you are mobilising during exercise. Most places such as gyms and health clubs tend to offer circuit classes. You could make your own DIY circuit program however it may be challenging to gather all the paraphernalia and set up your own circuit. 4. Finish your workout with a blast of aerobic exercise. If you opt for the old fashion resistance program finish off with a blast of aerobic exercise. There has always been a debate between aerobic fans and weight fans as to which one is best for weight loss. The truth is that there are a number of factors that influence weight loss and the effects of exercise. Performing resistance exercise first can lead into using most of the glycogen you have stored. If you combine this with an aerobic workout then you are likely to be mobilising fat as a fuel. 1. Always warm up to avoid injuries. 2. Best recommended to consult a health professional and/or exercise professional prior to taking on any exercise.